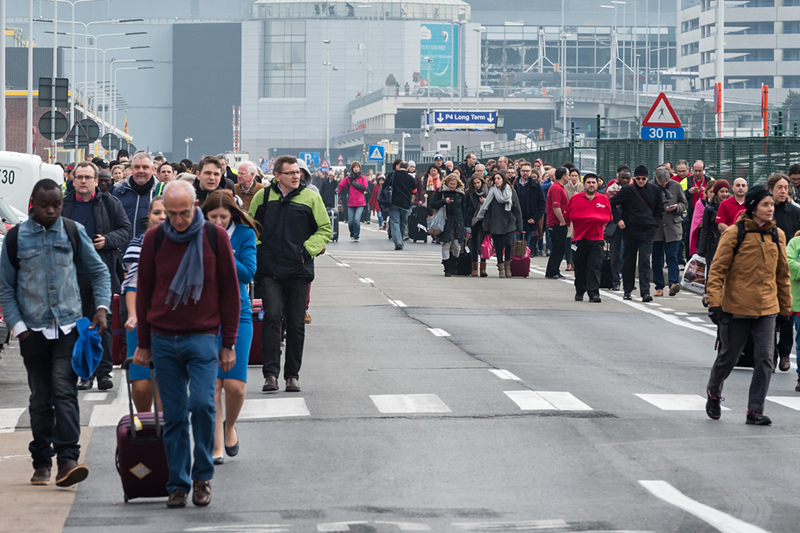 People walk away from Brussels airport after explosions rocked the facility in Brussels, Belgium, March 22, 2016. Head of the Council of Muftis of Russia, Ravil Gainutdin, has expressed condolences in relation to the series of terrorist attacks in Brussels. "We are sure that the criminals that committed these acts of terror will receive the most severe punishment. Islam and the Muslim community condemn the murderers of innocent people, condemn the terrorists who will face horrible punishment from the Almighty as the Holy Quran says: "He who kills a believing soul intentionally, Allah makes the Fire of Hell his abode," Gainutdin' statement posted on the website of the Council of Muftis on March 22 says. The spiritual leader also wished speedy recovery to those injured in the terror attacks. Thirteen people were killed, and 35 more have suffered injuries in the explosion at Brussels Zaventem international airport, the Belgian RTBF television channel said, referring to the Belgian federal prosecution service. The Belgian public broadcaster VTM confirmed ten fatalities, and dozens of injured people, in the explosion at the Maalbeek metro station in Brussels.